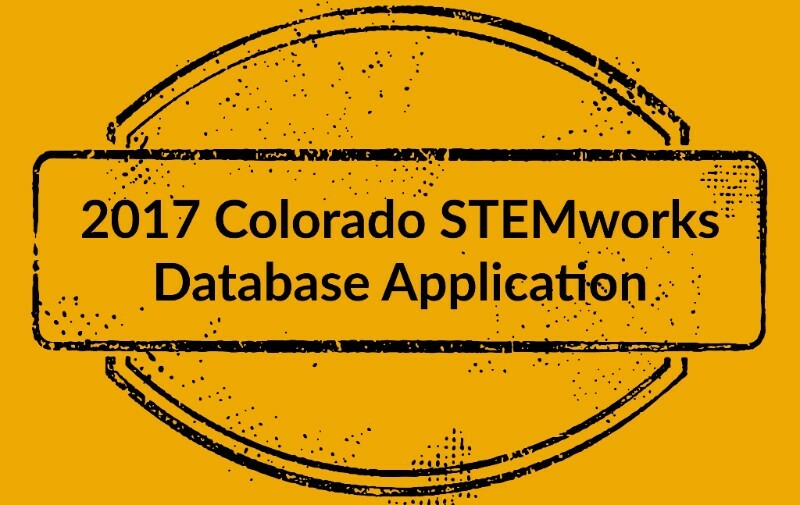 July 20, 2017 – The Colorado STEMworks Database is accepting applications from STEM programs in the state. STEMworks is the go-to resource for finding and investing in the nation’s leading STEM education programs. This is the third time that the Colorado Education Initiative (CEI) and the Colorado Technology Association (CTA) are jointly administering the process since we partnered with Change the Equation in 2015 to replicate the application and review process. Programs in the database include both in-school and out-of-school STEM programs of various sizes, types, and scopes. Once accepted into the database, programs receive exclusive invitations to events and opportunities and are featured in the local and national databases. Check out a list of current programs here. August 11, 2017, 4 pm MDT–Pre-screening application due. August 18, 2017, 4 pm MDT–Full application due. August 18-September 29, 2017–Applications reviewed. September 29-October13, 2017–Programs informed and results announced.